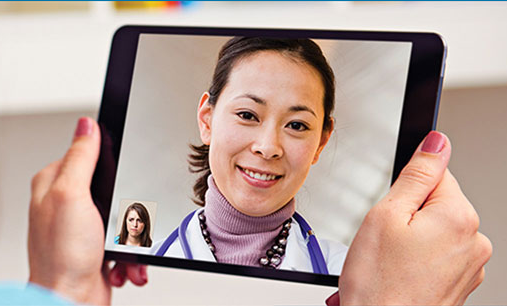 Virginia-based telemedicine provider Avizia announced Tuesday that it has acquired Carena, a Seattle-based telemedicine startup that builds the technology behind virtual doctor’s visits. The companies did not disclose the terms of the deal or comment on how Carena’s employees will be affected. Carena’s Seattle headquarters “will be a strong part of Avizia’s nationwide recruitment and growth strategy,” Avizia said in a press release. An Avizia spokesperson declined to disclose the number of Carena employees, but said the Seattle office will be home to about 30 percent of Avizia’s workforce. The acquisition gives Avizia access to a robust physician network, according to MedCityNews. Avizia has raised $20 million and currently provides telehealth services to 25 percent of hospitals in the U.S.
“The Carena team is proud to become a part of the Avizia telehealth platform, which is trusted by four out of the top five IDNs and connects the nation’s leading neurology, psychiatric and pediatric programs,” Ralph Derrickson, president and CEO of Carena, said in a press release. “Our combined company partners with some of the most prestigious healthcare organizations in the country, including Catholic Health Initiatives, NewYork-Presbyterian, Northwell Health, Dignity Health and the Medical University of South Carolina,” he said. Derrickson will transition to Avizia and serve as its senior vice president of corporate development. Carena has raised over $30 million, most recently raising $6 million in June of this year. The company was founded in 2000 and has been led by CEO Ralph Derrickson since he joined the company in 2006. He was formerly the VP of product development at Starwave and director of computer engineering at NeXT Computer. The company’s past backers include Portland-based Cambia Health Solutions, a health community group and insurer; Denver-based Catholic Health Initiatives, a nonprofit care provider; San Francisco-based McKessen Ventures and Nashville-based Martin Ventures. As of June, Carena worked with more than 120 hospitals across the country and its virtual care services are available for 18 million people. The company’s board included F5 founder Jeff Hussey along with executives from investors Catholic Health Initiatives, Cambia Health Solutions and Martin Ventures.